Located off the southern coast of Vietnam, the remote and utterly beautiful Con Dao Islands are truly one of the star attractions in Vietnam. This isolated archipelago comprises sixteen islands - all rugged, rocky, and mountainous, covered in dense forest and ringed by coral reef. 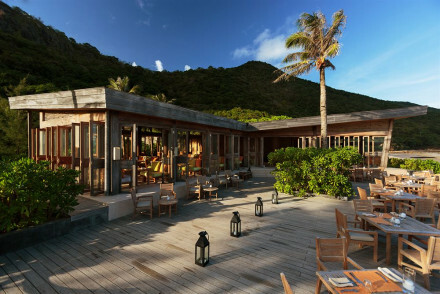 The best places to stay in the Con Dao islands offer barefoot luxury retreats in a glorious location. Con Son, the largest in this chain of islands, was once knows as the Devil’s Island of Indochina. From 1862 it was used as a prison by French colonialists, then in 1955 it transferred to the American-backed South Vietnamese government. Evidence remains - the infamous “tiger cages” for example - and several prisons still stand. A free visit to the Con Dao Museum is recommended, though for those wishing to opt-out of this grizzly excursion can otherwise occupy themselves with hiking, diving, and exploring, as well as some excellent wild-life watching opportunities. Lucky visitors will catch the sea-turtle nesting season (roughly June to September). The best places to stay in the Con Dao Islands are popular destinations in their own right, so do yourself a favour and book early. Still undecided? Browse our pick of the best places to stay in the Con Dao Islands, expand your search to include all our Vietnam recommendations, or contact a friendly guru for advice. Super luxurious island hideaway, perched on the edge of a National Park. Each elegant eco villa faces onto a private pool area. One of the trendy restaurants, By The Market, is set up as market stalls serving organic street food. Unique and totally lovely. Boasting a five star spa. Total relaxation - This place is made for relaxation, each villa comes with private pool and seating area, add room service and a spa treatments. Romantic Break - Private pools, couples dining and spa treatments. A romantic haven. Spa breaks - Six Senses are renowned for their world class spas. Great walks - Wander along the beach, climb the rocks and find secluded spots to watch the sunset.